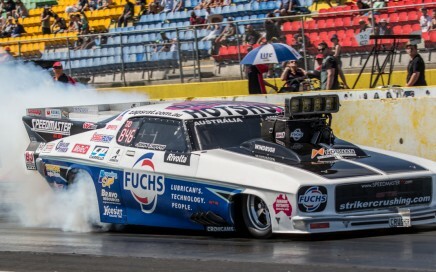 Zappia Racing are proud to represent Fuchs Lubricants Australia and Dananni Haulage in the Australian ANDRA Pro Series Top Doorslammer Championship Series, and the Thunder 400 Australian Professional Drag Racing Series. 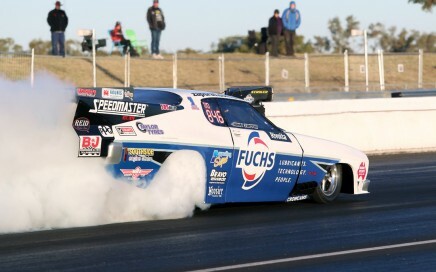 The Fuchs/Dananni "Crusher" HQ Monaro is Australia's quickest slammer, holding the ANDRA National Record of 5.693 seconds, and the Thunder 400 National Record of 5.635 seconds. 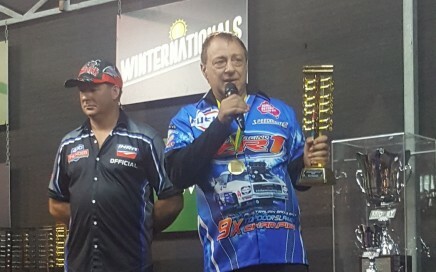 John "Zap" Zappia is the current 10-times back-to-back ANDRA National Champion, and the Reigning 400 Thunder Pro Slammer National Champion. Zappia Racing thanks the above Major Sponsors for their continued support and sponsorship. Dananni Hotshots provide Zap with travel sponsorship for the transporter. Southside Engine Centre is the machine shop of choice for Zappia Racing, having sponsored the team for over 25 years. Noonan Race Engineering provide Zap with billet X1 Noonan cylinder heads and billet light weight rocker covers. 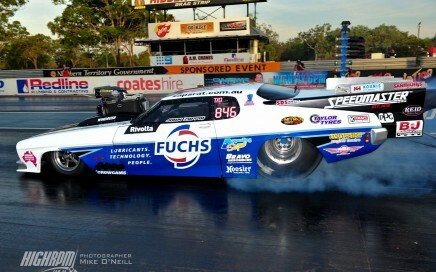 Hoosier Racing Tires supplies John Zappia with tyres and technical assistance to set national Records. Crow Cams have a long association with Zap with camshaft supply. For more details on the Supporting Sponsors and links to their web sites go to "Sponsors" in the top menu. 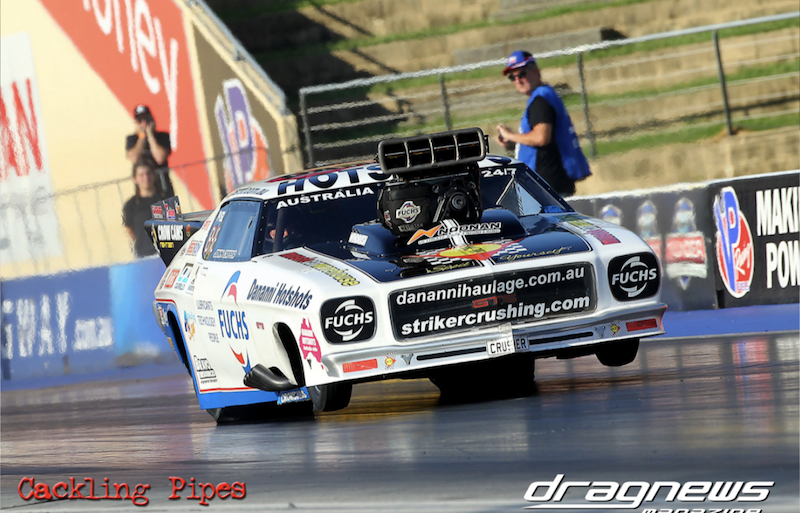 John Zappia was left to rue what might have been for the Fuchs/Dananni Hotshots team at Sydney Dragway on Saturday. The team’s event began on Friday where they took part in two test sessions in difficult conditions but mustered the quickest times of the category. “There was a heatwave in Sydney and with 4000 feet of air density and 100 water grains the conditions were about as bad as it gets,” Zappia explained. “But we managed to come out with a 5.76/251mph which was two tenths ahead of anyone else. Another test session was held on Saturday before racing began and Zappia made another full pass, albeit having to put some work in on the steering wheel. 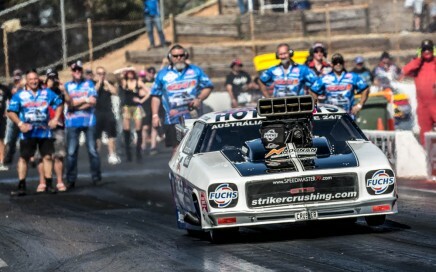 The team prepared for the first round of racing where they took on Michelle Davies, who recently became Australia’s quickest woman in a Pro Slammer. The Fuchs/Dananni Hotshots crew replaced all the electronics before round two where Zappia faced Ben Bray. But the problem reared its head once more. When the team opened the motor in the pits they discovered a broken crankshaft, four broken valves and a host of other damage caused by the intense vibrations. The injector hat proved the fatal blow for the team. “We changed the engine and the rain gave us more time, but it only takes one part you haven’t got to put you out and for us that was a spare injector hat. Ours is unique and needed welding. “With so much damage we really wanted to check the whole car out and find the problem. We needed to make sure the transmission was okay as well, because when you break a crankshaft it can cause damage throughout the drive train. “There were no holes in the block thankfully, just a big dent in the oil pan. It looked alright from the outside, but it didn’t look pretty when we pulled it apart. “It’s not good for our points chase but at the end of the day we couldn’t risk any more damage with such a catastrophic failure. We need to go over everything at home, then come back out at the Motorplex and continue with our R&D program. “It was great to have Parry Bitsikas from Muscle Car Warehouse join us at the event and unfortunately we weren’t able to produce our best for him. 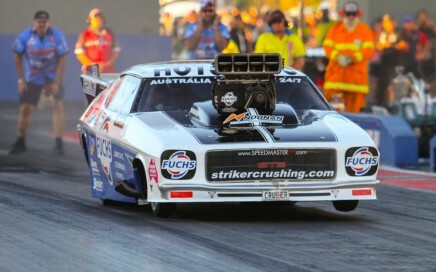 Zappia will next be on track for Perth Motorplex’s Nitro Night on February 2. There has also been some exciting news on the model car front recently with a second version of the Biante diecast set to become available. “We are taking orders now. You don’t have to pay the money up front, we just want to know how many Biante should make as they create them to order,” Zappia said. Interested fans can email zappiaracing@ozemail.com.au to place an order.